Like your alcohol free fizz with a bit of colour? 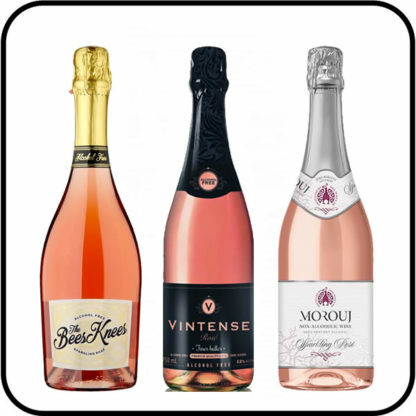 Then try these 3 amazing wines in our Sparkling Alcohol Free Rosé Collection. Bees Knees Alcohol Free Sparkling Rosé is a carefully crafted alternative to traditional alcoholic sparkling wine. It’s great as an aperitif, just right with party nibbles – or just whenever you fancy a bit of fizz. Alongside, try Morouj Sparkling Rosé. Berries burst out of the Tempranillo grape in this semi-sweet sparkler. Think cherry, strawberry and mulberry. 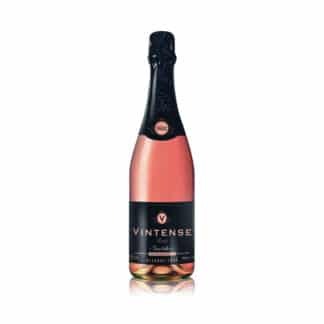 And finally, Vintense Rosé Fine Bubbles alcohol free with its sweet and aromatic flavours. Clear salmon blush. Aroma of currants and strawberries. Beautiful harmony between the fruits, currants, strawberries and melon. Chiefly, Bees Knees offers a carefully crafted alternative to traditional alcoholic sparkling wine. Great as an aperitif, just right with party nibbles – or just whenever you fancy a bit of fizz! Enjoy a finely balanced combination of sparkling grape juice and premium tea infusion. Notably, it’s all with a lots of lovely bubbles. Significantly, this divine new rosé bubbly will work wonders at your party or dinner. Berries burst out of the Tempranillo grape in this semi-sweet sparkler. Meanwhile, think cherry, strawberry and mulberry. Surely this is the perfect aperitif to share at any time. 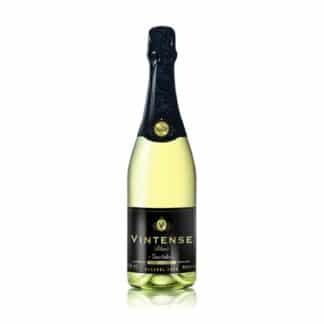 Expressly, balanced, delicate and refreshing, it will entrance your guests. 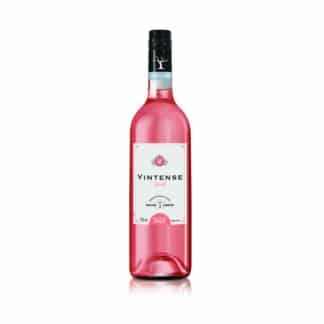 In particular, it is a balanced and elegant wine with sweet and aromatic flavours. Clear salmon blush. Aroma of currants and strawberries. Beautiful harmony between the fruits, currants, strawberries and melon. Very nice length at the end of the mouth. Finely sparkling. These bottles of zero-alcohol bubbly look as good as they taste. Certainly they’d be lovely to hand to a dinner party host, for example. So try this collection with Dry Drinker, the UK’s most trusted alcohol-free store.